Following the report of the British NGO Environmental Investigation Agency, alleging a subsidiary of Deija Group in Gabon, the Ministry of Forests and Environment responsible for the Climate Plan have suspended the title of exploitation.The ATIBT wishes to salute here the fight against illegality and will contribute, as far as it can, to promote good practices in this important sector for the Gabonese economy, and more generally for the Congo Basin. 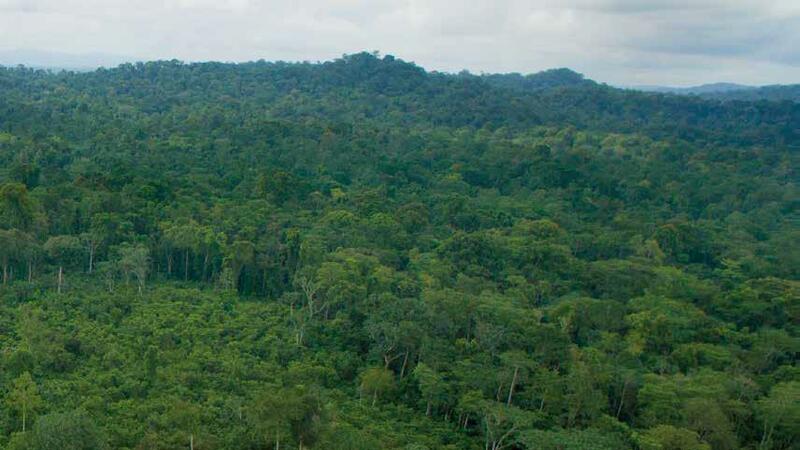 The Ministry of Forests and Environment, in charge of the Climate Plan of Gabon, has carried out an internal investigation of control of the legality of the logging activities of the company of Sawing of Manda (SSMO), subsidiary of the group Dejia. The results of this survey were published in a press release and it appears that the SSMO has continued to operate two annual 2015 and 2016 harvest areas, although they should have been closed since June and December 2018. Hearing of SSMO officials on the minutes in accordance with the relevant regulations. According to the Gabonese authorities, a survey of complicit Forests agents is currently under way. The EIA report, released on March 25, explains the illegal practices, fraud and corruption of this company. The organization made concrete recommendations to the attention of exporting and importing countries, as well as to the attention of international organizations. The ATIBT wishes also to welcome this report which allowed the Gabonese government to take strong measures the days following publication. Our association thus recalls that certification is a bulwark against these illegal practices and that it works with all the stakeholders to still and always improve the good practices. There is a need to encourage certification, its benefits and support for FSC and PAFC / PEFC schemes. The ATIBT, thanks to its program Fair & Precious is, with the support of the AFD and the PPECF program, initiator of an original approach to give more visibility to forest certification in the Congo Basin, with a strong implication of certified companies such as Precious Woods, Rougier Gabon, CIB Olam, Interholco, Pallisco, and with the help of experts marketing and communication. Deployment of the Fair & Precious brand is underway, with the support of various stakeholders: FSC, PEFC, LCB (French Wood Trade), Fedustria (Belgium), Fedecomlegno (Italy), GD Holz (Germany), ETTF (European Timber Trade Federation), STTC (Sustainable Timber Trade Coalition), among others.